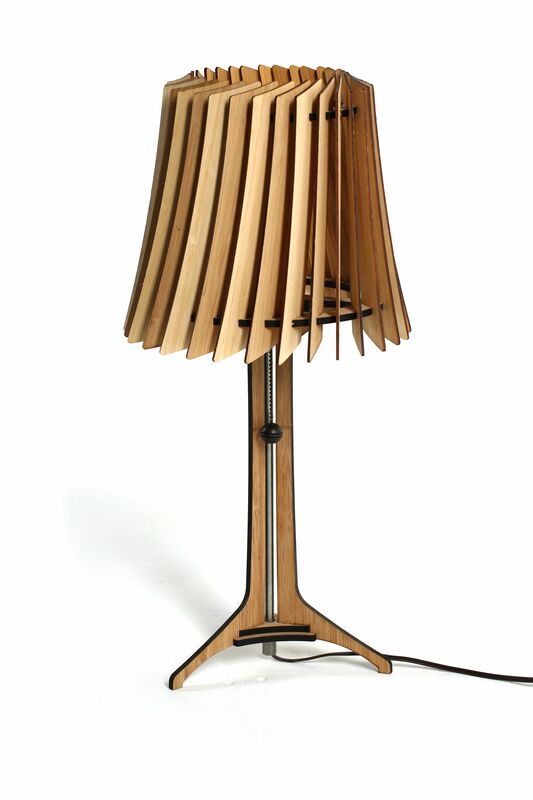 I was looking for a different way to create the shade for a standard bedside lamp for this project. 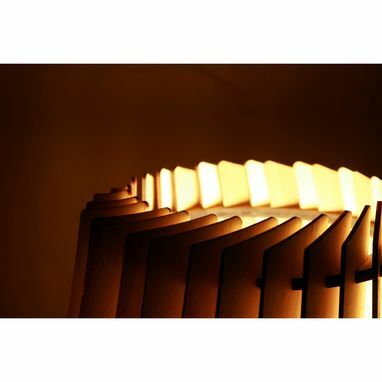 The net result was 30 laser-cut vanes spiraling around the light bulb. 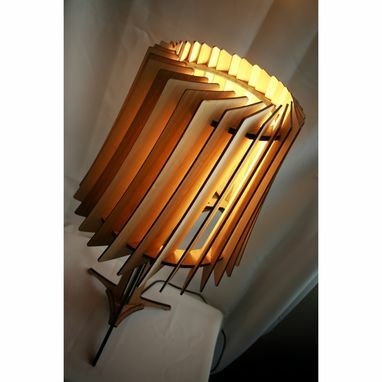 This creates a warm, ambient light. I also put a considerable amount of time into making sure that you can't see the light bulb directly when looking at the lamp from the side. 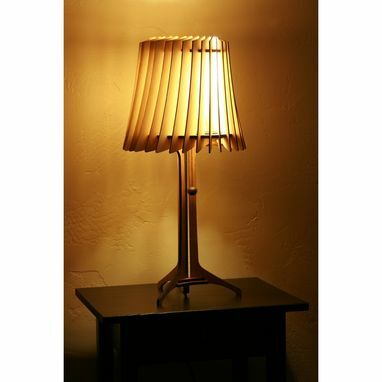 I wanted this lamp to look like a standard bedside lamp, but with a twist. Therefore, the vanes are shaped to look like a standard lamp shade. 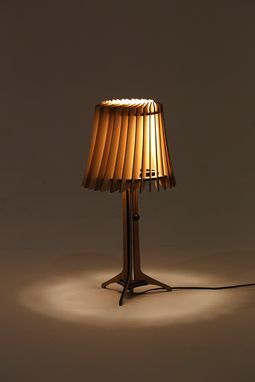 The lamp pictured was laser cut out of bamboo plywood. 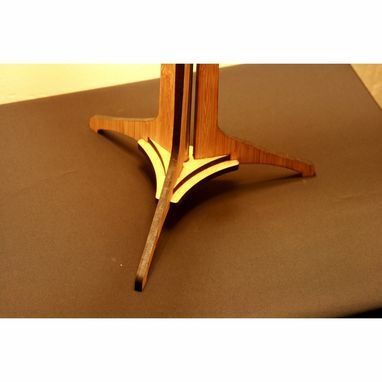 It creates a consistent, lightweight, and also sustainable design.